After training in Classical music for 1O years and graduating at the Bourgoin-Jallieu School of Music, France, in 1995; Agathe was later exposed to improvised music and to the experimental scene. ‘Inspired by a world both enchanting and draped in darkness, she has developed a wide range of sound textures, unique and melodious, creating unconventional and magnetic musical pieces reflecting a personality in constant search of rareness in music’. “Franziska Baumann, an internationally acclaimed vocalist, composer and sound artist is experienced in a diversity of improvised and composed music. As a vocalist she explores the human voice as a multi-faceted instrument expanding traditional boundaries. 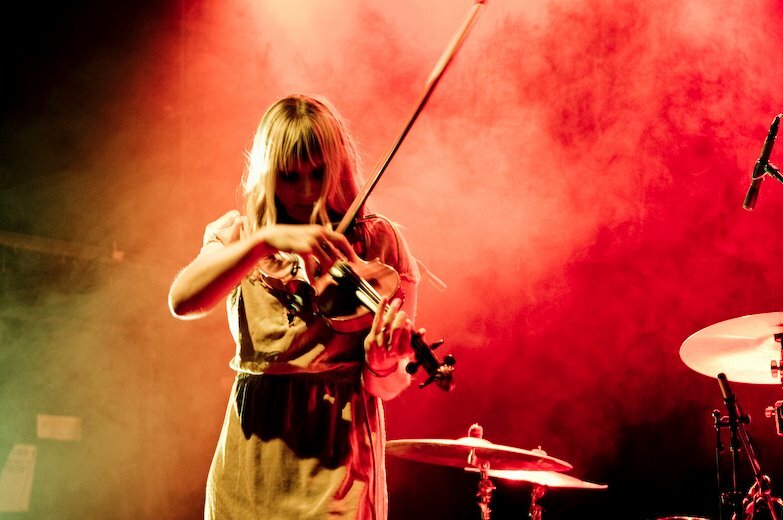 She has developed an extensive vocabulary of experimental and extended vocal techniques such as multiphonics and glottal clicks, and a variety of unique microtonal, timbre-modifying and percussive techniques that have become her “signature sounds”. Her research interests include the voice as a medium between instrument and potentials of human feelings and human society by causing unusual ways of listening and consciousness..
As artist in residence in the STEIM “Studio for ElectroInstrumental Music”, Amsterdam, she developed an interactive SensorLab based Sensorglove. This interactive cyberglove gives her total control over her articulations and the acoustics via gestures and movement. Sexing Sound: Music Cultures, Audio Practices, and Contemporary Art & Sexing Sound: Aural Archives and Feminist Scores at CUNY Center for the Humanities, New York Feb/March 2014. 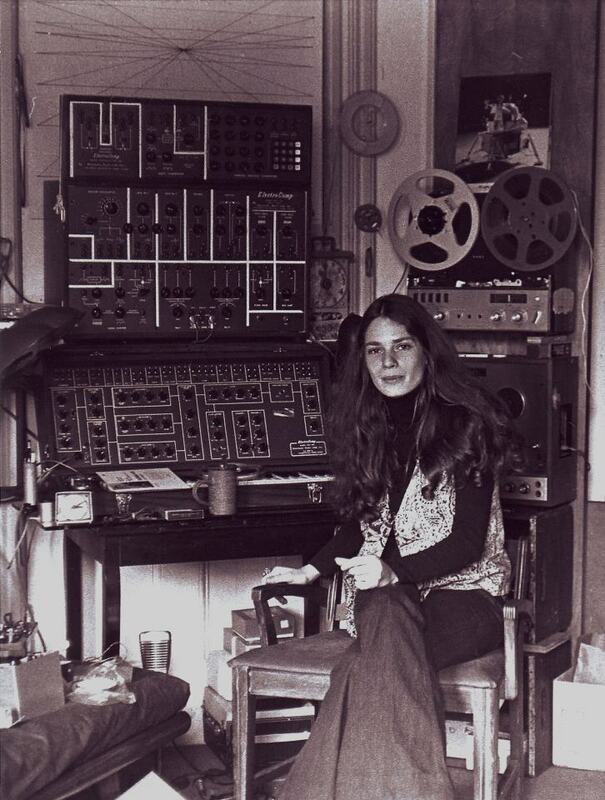 Joan La Barbara (born 1947 in Philadelphia, PA) is an American Composer, Performer and Sound Artist. Her work explores the human voice as a multi-faceted instrument, expanding traditional boundaries in developing a unique vocabulary of experimental and extended vocal techniques. La Barbara has collaborated with artists including Morton Subotnick, Alvin Lucier, Christian Marclay and Merce Cunningham, and in the early part of her career performed and recorded with Steve Reich, Philip Glass and several jazz artists, developing her own unique vocal/instrumental sound. Hailed as “one of the great vocal virtuosos of our time”, she premiered landmark compositions written for her by noted American composers, including Morton Feldman’s ‘Three Voices’; Morton Subotnick’s chamber opera ‘Jacob’s Room’; and the title role in Robert Ashley’s opera ‘Now Eleanor’s Idea’; as well as Philip Glass and Robert Wilson’s ‘Einstein on the Beach’; Steve Reich’s ‘Drumming’; John Cage’s ‘Solo for Voice 45’, and many more. In 2008, La Barbara was awarded the American Music Center’s Letter of Distinction for significant contributions to the field of contemporary American music. Above: Klee Alee (scored for multiple voices) was commissioned by RIAS (Radio in the American Sector) in 1979 and was released on her Reluctant Gypsy LP, Wizard Records. The piece takes inspiration from the composer’s experiences while viewing a Paul Klee painting. Listen below to an interview with Joan La Barbara via the CKUT archives, produced November 1990 by Kathy Kennedy. Town Hall premiere of Steve Reich’s “Drumming” 1971, NYC. Alice Shields is an American Composer known for her cross-cultural operas and vocal electronic music. 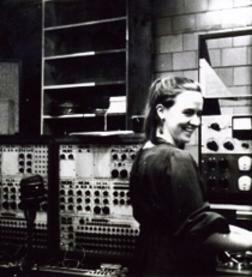 She has recieved a DMA degree in Music Composition and served as Associate Director of both the Columbia-Princeton Electronic Music Center and the Columbia University Computer Music Center; as well as lecturing on the Psychology of Music in numerous institutions across America. 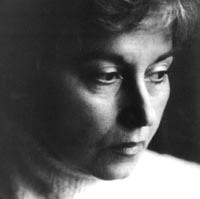 Beatriz Ferreyra is an Argentine composer. She worked with the Groupe de Recherches Musicales under the direction of Pierre Schaeffer (1963-70) where she collaborated on the realisation of the Solfège de L’objet Sonore albums. While there she completed research and ran the interdisciplinary seminars. In 1975, Ferreyra joined the Composers College of the IMEB (Institut international de musique électroacoustique de Bourges) and later created the experimental concerts series ‘Les rendez-vous de la Musique concrète’ at the Centre d’études et de Recherche Pierre Schaeffer. Ferreyra has performed at many international festivals, electroacoustic conferences and music seminars. As an independent composer, she has received commissions for performance at festivals and concerts, as well as public celebrations and events, films and ballets. Beatriz Ferreyra has also worked in the area of music therapy and served on numerous juries for international competitions adjudicating experimental musics. ‘Demeures Aquatiques’ (Waterish Dwelling): electroacoustic music commissioned by G.R.M. 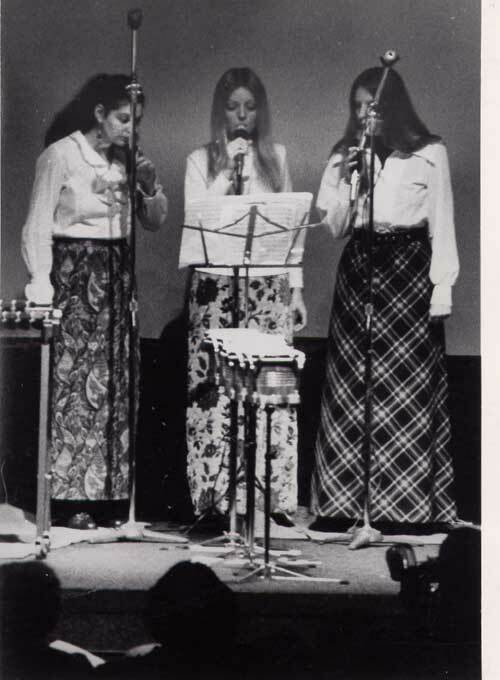 (Groupe de Recherches Musicales) in 1967. First Performance: Avignon’s Festival, August 1968, France. Else Marie Pade was born in Denmark in 1924. 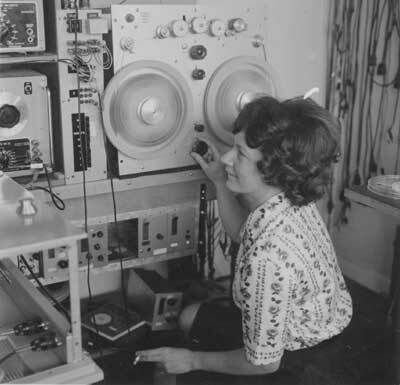 During the early 50s she became the first Danish composer of electronic music and Musique concrète. 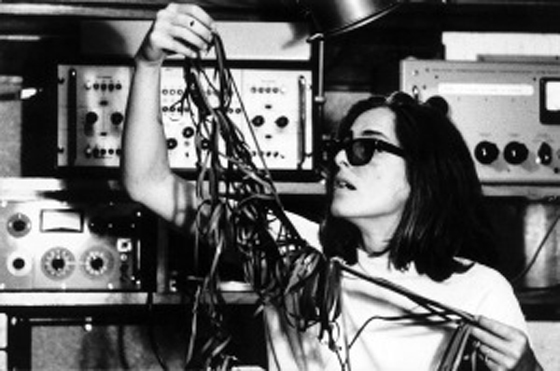 De-gendering the Electronic Soundscape: Women, Power and Technology in Contemporary Music. Ivana Stefanović is a Serbian composer born 1948 in Belgrade. She trained as a violinist, and since the late 1960s, worked as music editor at Belgrade’s national radio and television. Her compositions include orchestral and vocal music, as well as radio art and stage music. Maryanne Amacher (1938-2009): Living sound, for “Sound-joined Rooms” series (1980).